Drop in on a Friday evening and you're likely to find the place packed with a blue-collar crowd just finishing work and stopping by Brad's Brass Flamingo to enjoy a few beers, a free buffet, and dozens of beautiful young women milling about wearing little more than g-strings in what feels a little like Applebee's, but with strippers. Overall, a friendly place for regular Joes offering a decent menu and the best looking girls in any Indy showclub. Management will pick sides and you don't want to be on the wrong one. 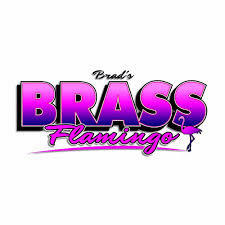 Deals and Specials at Brad's Brass Flamingo.